Chris Freund of Lester Buildings in Southwest Iowa, partnered with out Omaha web design team to design and launch a new website, in order to market his products and services. Chris Freund’s new website features a simple design with a comprehensive photo gallery. Powered by WordPress, this website’s CMS allows Chris to update the website with new information and projects to use as an online and in-person marketing piece. Also, utilizing responsive design technology, this website is mobile-friendly and satisfies Google requirements for a mobile-friendly website. And, as part of Chris’ commitment to being found in the search engines, JM’s Omaha SEO team completed a one-time SEO optimization for each page on the website. This ensure the website is tagged with good keywords that will aid Google in finding and ranking the website in a query. Our Omaha web design team wishes Chris Friend great success with this new website and we hope to continue serving him in years to come. Milt’s Mini Storage serves Omaha with 8 storage locations. Offering convenient locations, excellent service and affordable pricing, Milt’s Mini Storage needed a more professional online presence to market to prospective customers. 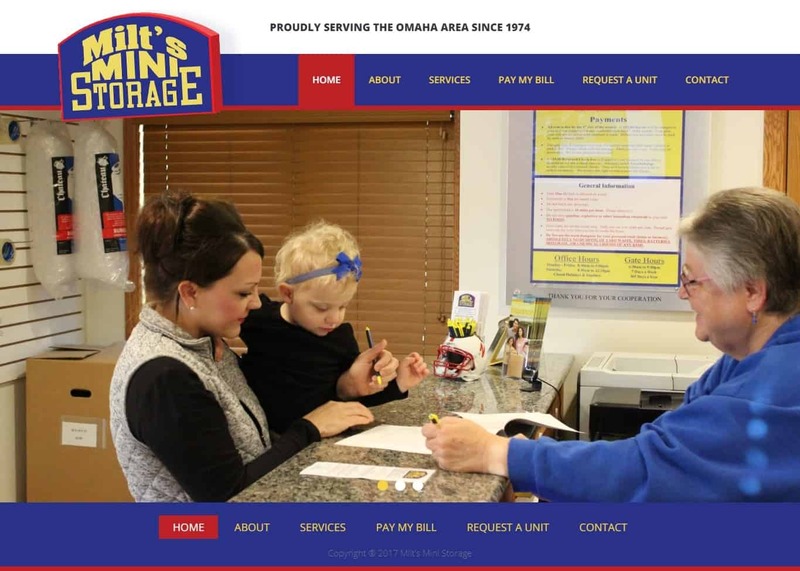 Our Omaha web design company built Milt’s Mini Storage on a WordPress platform. Originally a pre-built template, our web design team customized the design and content to fit their needs. With a user-friendly content management system like WordPress, they can easily update their website content and images. We’re grateful to have the opportunity to work with a long-time Omaha business like Milt’s Mini Storage and we wish them great success!